Inspired by the glamorous Art Deco era, the Amnesia Sofa by Rugiano Interiors presents a timeless style that has cinematic appeal. 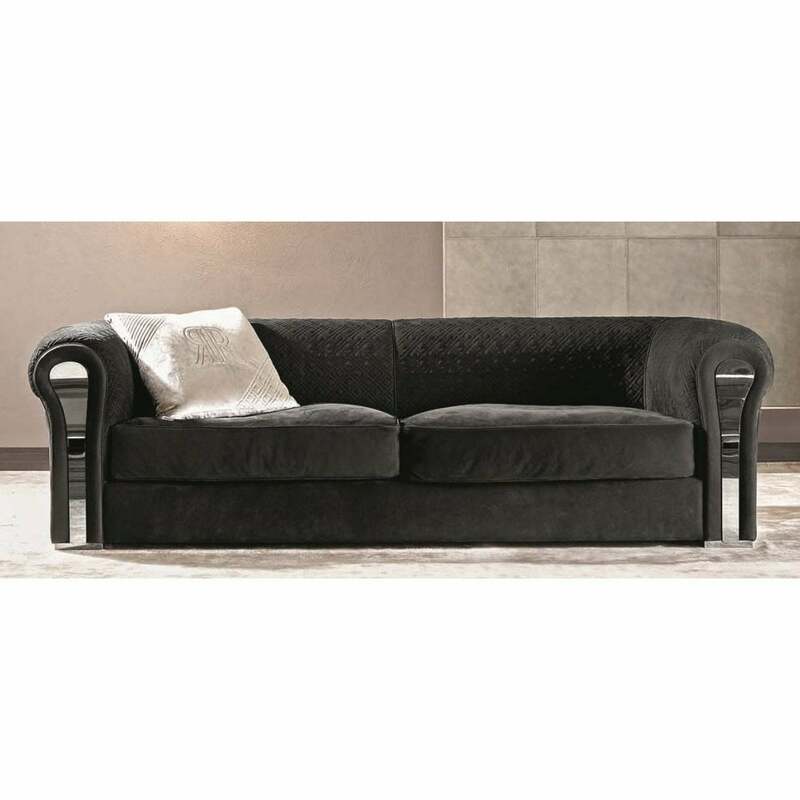 Featuring a curved backrest and rounded arms, this designer sofa combines both form and function. Upholstered in the finest Tessuto fabric or Pelle leather, each piece is created with the utmost precision and care. Crafted by skilled artisans in the heart of Italy, Amnesia is finished with hand-stitching, a steel or metallic panel and a complementary geometric pattern across the back and arms. Style with the decorative Papillion Cushion and a faux fur throw to complete the look. Available in three sizes and includes two cushions. Make an enquiry for more information.